There was some hint of the possibility of a weakening of the G20’s stance on climate change earlier this month, when Argentina’s G20 sherpa (emissary) Pedro Villagra Delgado spoke to the media, saying that the drafting of this communique, and the section referencing the Paris Climate Agreement, was proving to be the “most complicated” aspect. High prices and continued development of shale and tight resources drove proved reserves of both U.S. crude oil and natural gas to new records in 2017, according to EIA’s recently released U.S. Crude Oil and Natural Gas Proved Reserves report. 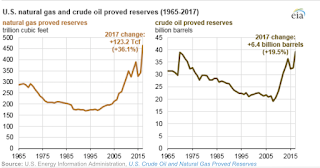 Proved reserves of U.S. crude oil increased 19.5% from the end of 2016, reaching 39.2 billion barrels and surpassing the previous peak level of 39.0 billion barrels set in 1970. Proved reserves of natural gas increased 36.1% from the end of 2016 to reach 464.3 trillion cubic feet (Tcf) in 2017, surpassing the previous record of 388.8 Tcf set in 2014. The share of natural gas from shale increased from 62% of total U.S. natural gas proved reserves in 2016 to 66% in 2017. 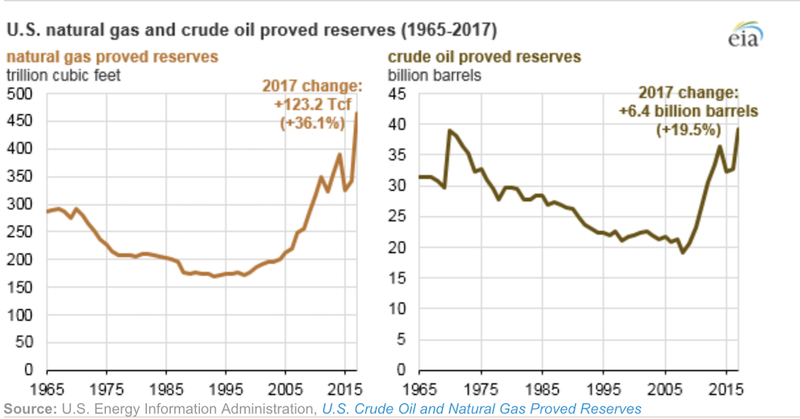 More information about changes in proved reserves of natural gas, crude oil, and lease condensate is available in EIA’s U.S. Crude Oil and Natural Gas Proved Reserves, Year-End 2017 report. Australia is on the brink of opening up a massive, untapped coal province after Adani committed to begin construction of its controversial Carmichael mine project in central Queensland befor­e Christmas. 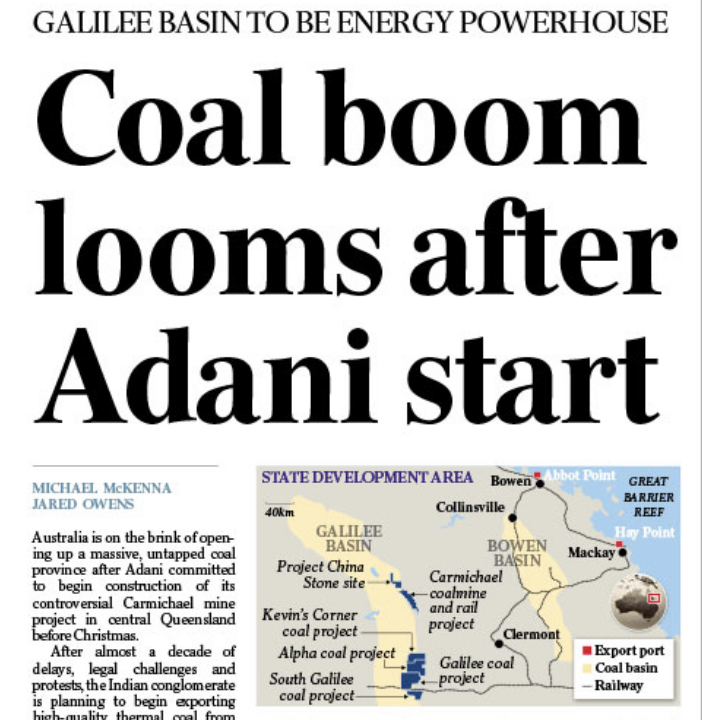 After almost a decade of delays, legal challenges and protest­s, the Indian conglomerate is planning to begin exporting high-quality thermal coal from the Galilee Basin, west of Mackay, by the end of 2020. Last week, Queensland’s Co-ordinator-General approved the proposed $6.7 billion Chinese-backed MacMines coalmine in the Galilee Basin. Macron’s policies are seen as favoring the urban, globalized classes at the expense of left-behind provincials. The diesel tax hike, imposed in the name of saving the planet, was the last straw. France’s president has hit a roadblock. Emmanuel Macron prided himself on having blown up a sclerotic political system when he took office as a fresh-faced outsider last year, sweeping away the “old world” of mainstream parties, imposing reforms of labor markets and state railways over the heads of “unrepresentative” trade unions, and squeezing funds for “bloated” local authorities. 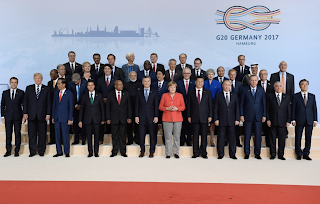 But a leaderless, unstructured protest movement against gas price hikes that went viral on social media has hit the centrist technocrat in his blind spot, driving his approval ratings to record lows and threatening his En Marche party’s prospects in the European election next year. Pictures of protesters in high-visibility yellow vests burning barricades and trashing café terraces on the Champs-Elysées have been beamed around the world, tarnishing the image Macron has sought to project of a dynamic new France. Across the country, shopping malls have been blockaded, weekend retail sales have slumped and truckloads of fresh produce have rotted. The old France of strikes, demonstrations and barricades is back, only this time there is no militant union leader or opposition politician with whom to strike a deal to lift the roadblocks. On Tuesday, the self-styled Jupiterian president ate humble pie, admitting he had underestimated the distress of ordinary people struggling to make ends meet. He promised to listen more, and to involve grassroots activists in finding practical solutions to move to a low-carbon economy without ruining poorer households. And he opened an escape hatch from the fuel tax increases that ignited the nationwide protests, saying duty on gasoline could be adjusted if world oil prices surge, in order to cushion the blow to motorists. While vowing not to change his reform course or abandon carbon taxes, the president promised a new, more inclusive style of government, consulting the very institutions — unions, local authorities and associations — that he has disdained for the past 18 months. Symbolically, he announced that Prime Minister Edouard Philippe would meet a group of “Yellow Jacket” activists. Whether this mixture of determination and contrition will be enough to end weekly protests that have mobilized up to 280,000 people and drawn broad public support was not immediately clear. The first reactions were predictably negative. Protesters said Macron is still out of touch. He will need to do more to convince just-about-managing families in rural areas, small towns and peri-urban zones with little public transport and retirees hit by a double-whammy of higher heating prices and a bigger tax bite on pensions that he has got the message and will act on it. The angry mood resembles the anti-establishment fever that drove Britain’s vote to leave the European Union, swept Donald Trump to the White House and hoisted populist parties into government in Italy. Global-warming activists predicted that Donald Trump’s withdrawal from the Paris agreement on climate change would claim innocent lives. Trump pulled out over a year ago, and the death toll from the American snub stands at zero. 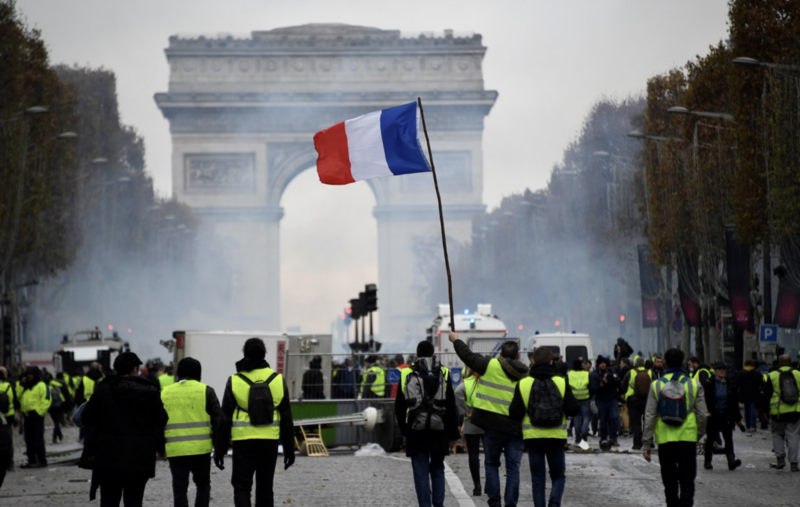 In France, however, violent protests against President Emmanuel Macron’s efforts to mitigate climate change have killed one person and injured 227. On Saturday, French mobs were protesting a tax hike on fuel. And they, not Macron, are directly to blame for the death and destruction. But the fact that these massive demonstrations happened at all—that they involved some 283,000 protestors—shows how little anyone really worries about climate change. Macron is trying to get France off of fossil fuels. The French government recently raised diesel taxes by seven euro cents and had planned to raise the gasoline tax by four euro cents. But it turns out that people—not just Americans—care deeply about melting ice caps and rising sea levels only under specific circumstances. Namely, when they can be blamed on the greed and stupidity of their political enemies. They find that they suddenly care a lot less when addressing climate change means shelling out a few extra euro cents. So the French came out in droves, lit bonfires, tore up some buildings, blocked streets, and chanted slogans. Another protestor said that “the fuel tax was just the final straw.” He went on: “All we can do is show that people are angry, that they are not alone and that they can do something about it. I hope there is no violence, but people are angry. I can understand why, for years they have voted for things and nothing has changed for them.” The protestors, known as gilets jaunes, for their signature yellow vests, enjoy 79-percent support among the French working class, according to IFOP. Meanwhile, as Parisians turn against the core ideas of the Paris agreement, Americans are worked up over the Trump administration’s seeming indifference to a new U.S. government report on climate change. The Fourth National Climate Assessment was prepared by “300 leading scientists,” according to CNN. And like all sober scientific documents, it’s packed to the gills with apocalyptic predictions for the coming century. The U.S. economy could lose 10 percent of its GDP; crops will shrink, much ocean life will die off, and more people will have less food. Illness will spread, pollution will get worse, floods and wildfires will increase, and, naturally, many people will die. Now, imagine the public response in our own low-trust, grievance-obsessed nation if the Trump administration actually instituted a policy that required every American to pay up to keep that theoretical future at bay. There’s a curious contradiction in climate activism. On the one hand, we’re told that the effects of climate change are already happening all around us—that we no longer have to wait for signs of devastation. On the other hand, huge resources swing into action to lay out disaster-movie scenarios of a dystopian future. If the effects of climate change are already so evident, why go to all the trouble of scaring us about what’s going to happen? Maybe because even sympathetic people don’t really believe—in their marrow—that anything alarming is currently happening. If they did, perhaps they’d give up their cars and shrink their lifestyles on the spot. But as it stands, they scream for government intervention and then protest when called to share in the cost. A new climate assessment allows us to think about good policy without panicking. You may recall the young Democratic National Committee staffer who, after the 2016 election, cried, “I’m going to die from climate change.” Or the Bloomberg columnist who said Exxon makes a product that “threatens the continuation of human life on earth.” Or a recent George Monbiot column in the Guardian in which he is chastened by a young woman who faces “extinction” because he didn’t do enough about global warming. 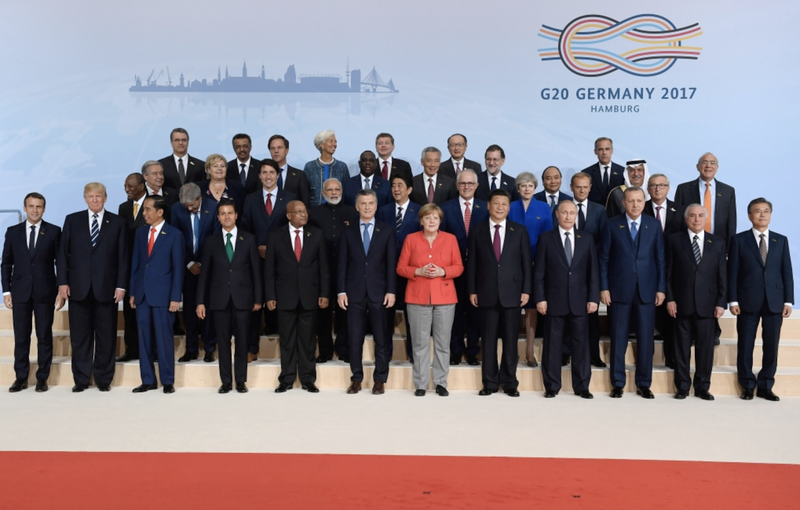 If any of these ring a bell, then you’ll be puzzled by the hysterical headlines that greeted a lengthy new U.S. government assessment which states that climate change will lead to—wait for it—a 10% reduction in economic growth over the next century. The authors of the government tract could have communicated their assumptions and findings succinctly and clearly. They didn’t. Paying this bill would be a nuisance, not armageddon. Even if the U.S. economy grew at a meager 1.6% over the next 72 years, we’d still be three times as rich by 2090, with a GDP of $61 trillion. Let’s step back for some perspective. A sizable portion of human economic activity since hunter-gatherer times has been devoted to mitigating climate risk, from the creation of clothing, shelter and fire, to the invention of sea walls, storm drains and insurance. With the arrival of the theory of man-made warming came the opportunity and perhaps imperative to consider applying these costs to altering climate directly. But you would have to know which steps are worth taking. The new U.S. report, as well as a United Nations report issued in October, instead aim at frightening the public—exactly the approach that so manifestly has failed to move the needle for 35 years. Bingo. In the minds of too many activists, climate really is a stalking horse for capitalism, consumerism and economic growth. They won’t be happy unless they can also stop mankind’s general quest for abundance. The new U.S. study finds that it would be especially expensive to adapt to an especially dire climate scenario. No kidding, Sherlock. But climate varies and humans do adapt. Populations and economic activities (like farming) relocate over time. Coastal communities pull back or build dikes. This is costly, but not so costly that average human welfare won’t keep going up, up, up even under the RCP 8.5 scenario. For perspective, we should put our climate in a historical context. Patrick Moore, a co-founder of Greenpeace, notes that over the past 600 million years global temperatures ranged from 12 degrees to 22 degrees Celsius. Currently, we are at 14.5 degrees, i.e. at the colder end of the range. GHG emissions are now 406 parts per million, compared to the historical average of 2,000 ppm where plants thrive. Moore also points out that from 1910 to 1940 global temperature increased by 0.4 degrees Celsius. It fell between 1940 and 1970 creating panic about global cooling. It warmed up again by 0.4 degrees from 1970 to 2000, so catastrophists shifted their alarm back to the impending inferno. Then temperatures remained basically flat for the next 18 years, so global warming was renamed climate change. Meanwhile, GHG kept rising during the warming, the cooling and the pause, suggesting CO2 cannot be the only cause of climate change. What will happen next? Who knows, but certainly not Al Gore.